Customize our Ellen Book Club Outreach Flyer Template and more! 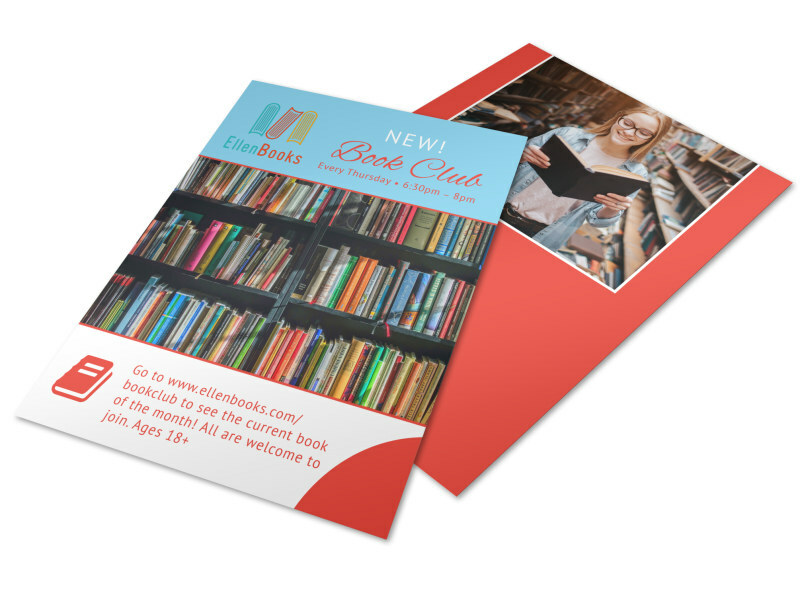 Expand the reach of your book club with this outreach flyer that you customize using your details and other elements. Let local bookworms know the who, what, when, and where of your get-togethers and meetings so that you can expand your membership numbers. We offered premium printing of your finished design, or you can print your flyers from your location to get them in hand quickly.